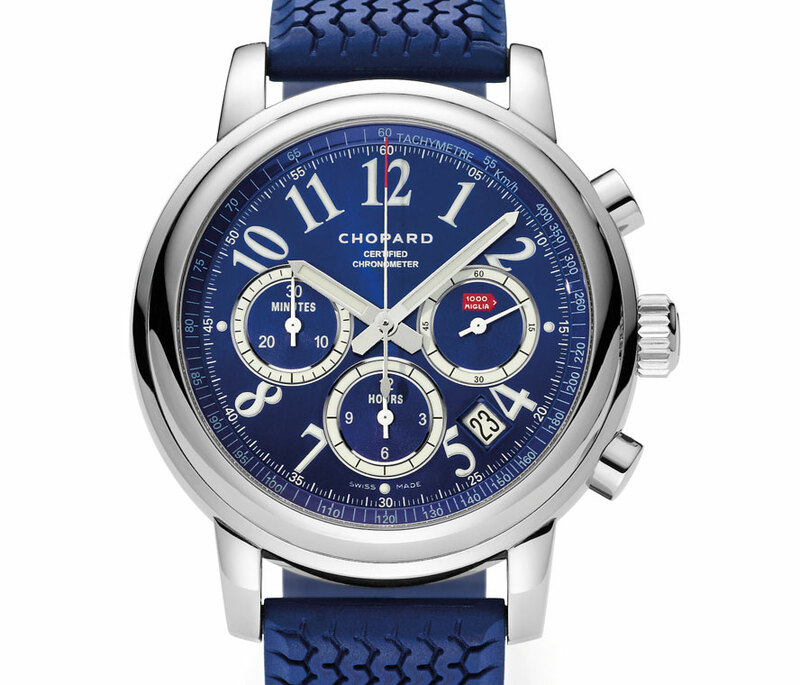 To mark its 60th anniversary in 2015, the Porsche Club of America worked with Chopard to create a Mille Miglia chronograph for club members. Founded in 1955, the Porsche Club of America (PCA) is the world’s largest single brand car club. 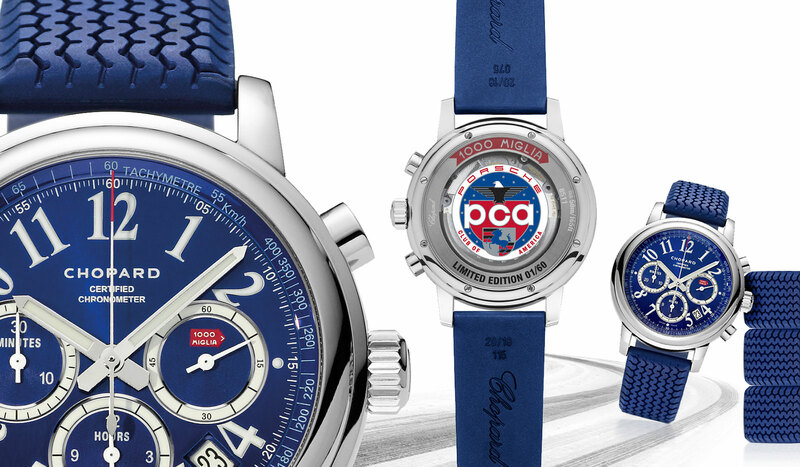 For its 60th anniversary next year PCA just unveiled the Chopard Mille Miglia PCA limited edition, a self-winding chronograph with blue dial and the PCA logo on the back. 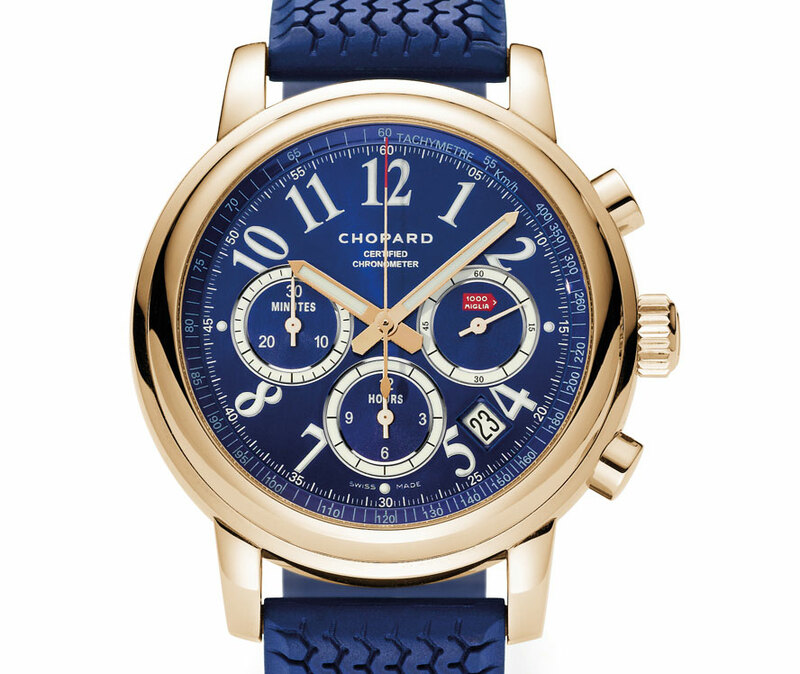 As sponsor of the Mille Miglia and the Grand Prix Historique de Monaco, Chopard has a significant involvement in motor racing. That’s due in large part to its owners, the Scheufele family, who are keen vintage car collectors. 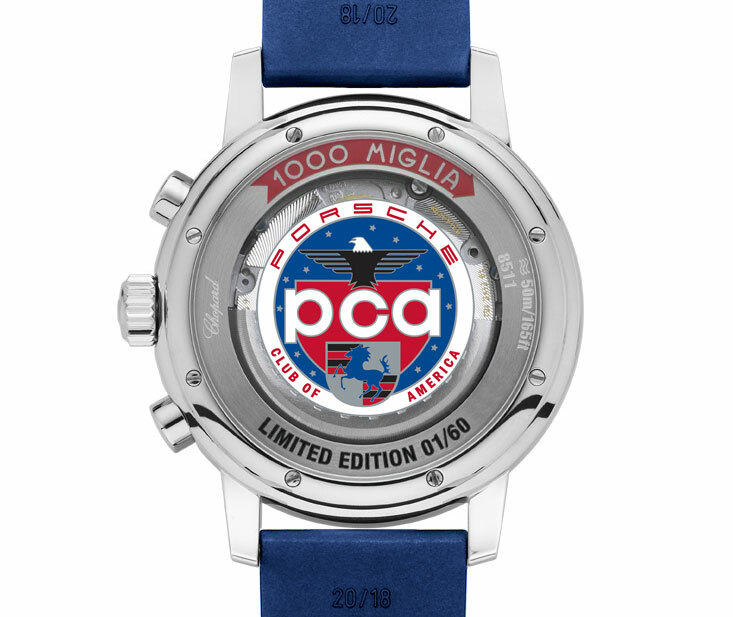 The PCA edition is a variant of the standard Mille Miglia chronograph, with a 42 mm case and an COSC-certified, ETA 2894 movement inside. But instead of the standard black this dial is in metallic blue, with the club logo silkscreened into the sapphire case back. 60 of these will be made in steel with a price of US$5990, with another six in 18k rose gold priced at US$21,000. They are available only to PCA members right here.